This post briefly introduces which to choose among Anaconda, Miniconda, and Virtualenv. If you have used pip and virtualenv in the past, you can use conda to perform all of the same operations. Pip is a package manager, and virtualenv is an environment manager; and conda is both. Specifically, conda is a packaging tool and installer that aims to do more than what pip does; it handles library dependencies outside of the Python packages as well as the Python packages themselves. Conda also creates a virtual environment, like virtualenv does. Both Anaconda and Miniconda uses Conda as the package manager. The difference among Anaconda and Miniconda is that Miniconda only comes the package management system. So when you install it, there is just the management system and not coming with a bundle of pre-installed packages like Anaconda does. Once Conda is installed, you can then install whatever package you need from scratch along with any desired version of Python. Don’t want to install each of the packages you want to use individually. Just want fast access to Python and the conda commands, and prefer to sorting out the other packages later. Choose Virtualenv only when you have sudo access to the machine you are working on. It is much easier to setup conda rather than virtualenv for a regular (i.e., non sudo/root) user on a linux/Mac machine. I use Miniconda myself (because it is much more light weight than Anaconda) when I need to setup python programming environment and when I do not have sudo privilege, and I use Virtualenv when I have sudo access on the machine. This post introduces several ways to find out how long a python script takes to complete its execution. Several ways to do the task by adding a few lines of code in your py script. See the following for an example in python 3. One more way to do the same thing with a nicely formatted output. # output running time in a nice format. This post provides the instructions to use Apache Solr with Python in different ways. Below are two small python snippets that the author of the post used for testing writing to and reading from a new SOLR server. The script below will attempt to add a document to the SOLR server. # Setup a basic Solr instance. The timeout is optional. # How you would index data. The snippet below will attempt to search for the document that was just added from the snippet above. SolrClient is a simple python library for Solr; built in python3 with support for latest features of Solr. After migration to Python 3 from Python 2, lambda operator, map() and filter() functions are still part of core Python; only reduce() function had to go, and it was moved into the module functools. Some people like it, others hate it and many are afraid of the lambda operator. The lambda operator or lambda function is a way to create small anonymous functions (i.e., functions without a name). These functions are throw-away functions (i.e., they are just needed where they have been created). 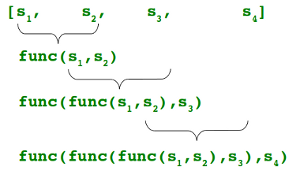 Lambda functions are mainly used in combination with the functions filter(), map() and reduce(). The lambda feature was added to Python due to the demand from Lisp programmers. The argument list consists of a comma separated list of arguments and the expression is an arithmetic expression using these arguments. You can assign the function to a variable, so you can use it as a function. The above example might look like a game for a mathematician — A formalization that turns a straight forward operation into an abstract formalization. But, when you learn how to use the map() function, you will see the apparent advantages of this lambda operation. The advantage of the lambda operator will be obvious when it is used in combination with the map() function. The first argument func is the name of a function and the second a sequence (e.g. a list). seq. map() applies the function func to all the elements of the sequence seq. Before Python3, map() used to return a list, where each element of the result list was the result of the function func applied on the corresponding element of the list or tuple “seq”. 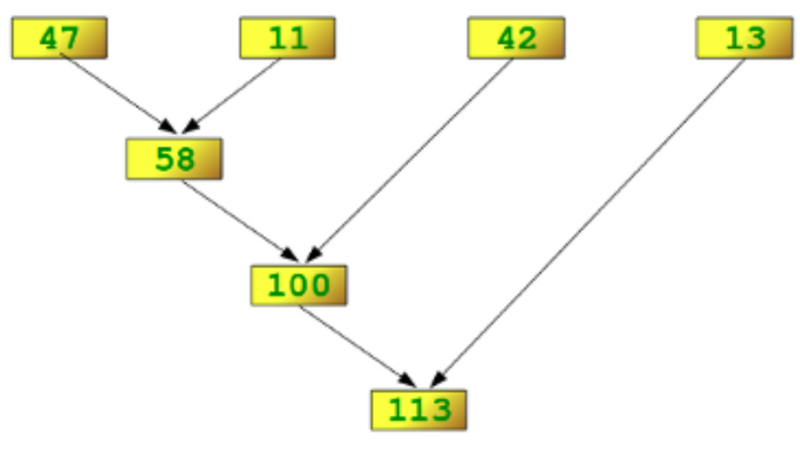 In Python 3, map() returns an iterator. # hit Return/Enter to exit to the >>> in your terminal. map() can be applied to more than one list. The lists don’t have to have the same length. We can see in the example above that the parameter x gets its values from the list a, while y gets its values from b, and z from list c.
offers an elegant way to filter out all the elements of a sequence “sequence”, according to the return value of the function function (i.e., if the function returns True it will be kept in the returned iterator object of the filter function). In other words: The function filter(f,l) needs a function f as its first argument. f has to return a Boolean value (i.e. either True or False). This function will be applied to every element of the list l. Only if f returns True will the element be produced by the iterator — which is the return value of filter function. #this will return all even number between 10 and 100.
reduce() had been dropped from the core of Python when migrating to Python 3. It was moved into the module functools. continually applies the function func() to the sequence seq. It returns a single value. repeat the steps until just one element is left and return this element as the result of reduce() function. The following simple example illustrates how reduce() works. See below for some examples of using reduce() function. This post introduces Parallel Programming using MPI in Python. The library is mpi4py (MPI and python extensions of MPI), see here for its code repo on bitbucket. Laurent Duchesne provides an excellent step-by-step guide for parallelizing your Python code using multiple processors and MPI. Craig Finch has a more practical example for high throughput MPI on GitHub. See here for more mpi4py examples from Craig Finch. An example of TensorFlow using MPI can be found here. While Python is a scripting language, it has plenty of facilities for high performance computing. This article covers some of its features and libraries that are particularly helpful when moving scientific code to a large cluster resource. It also includes specific recipes for compilation and execution on the TACC clusters. Deal exclusively with unicode objects as much as possible by decoding things to unicode objects when you first get them and encoding them as necessary on the way out.